Extremely soft, pliable metal sheets in bright metallic colors. 3 mil lightweight sheets accept the most intricate detail. 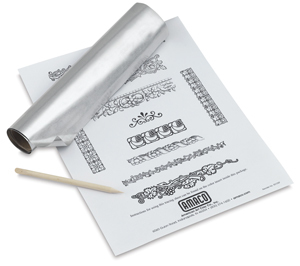 5 mil medium sheets make wonderful embellishments for projects or on their own for fine works of art. ® Amaco is a registered trademark of American Art Clay Company.® ArtEmboss is a registered trademark.